The leading actresses of recent hit dramas are causing a fashion frenzy in the cosmetics industry -- one that is spreading beyond the Korean Peninsula. In the drama “Guardian: The Lonely and Great God,” Kim Go-eun has a natural look as a high school student, with standout lip colors. 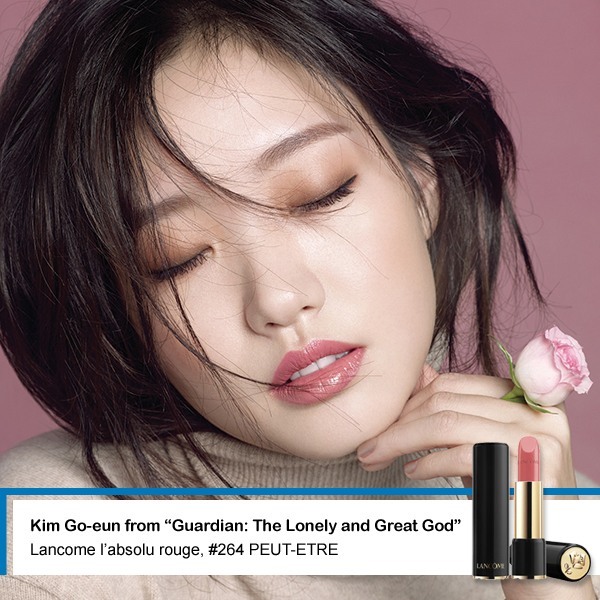 The “dried-rose” color lipstick Kim used in the drama is Lancome’s l’absolu rouge, #264 PEUT-ETRE shade. It was already popular before the drama started airing, but has since become even more sought after. Jun sports different shades of lipstick on the drama. The hot pink lipstick she applied in the first episode is Hera’s Rouge Holic, #147 Supreme Pink shade. The softer red lipstick that she has on during a Christmas party in the12th episode is the same brand’s Rouge Holic Exceptional, #333 Passion shade. 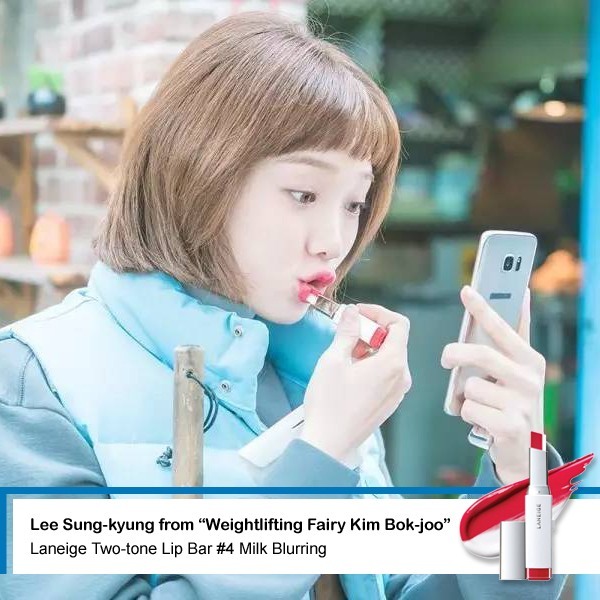 In another series, “Weightlifting Fairy Kim Bok-joo,” Lee Sung-kyung is also setting a cosmetics trend with Laneige’s Two-tone Lip Bar. On the show, she uses the product’s #4 Milk Blurring shade to achieve a gradient effect on her lips.